Whether you’re upgrading from a bachelor pad, downsizing from an empty nest, moving across country or just looking for something a little more your style, moving out of your home can be a huge upheaval. There are heaps of things to consider - finding a mover, packing boxes, making sure the dog doesn’t get left behind - but as well as all that, you’ve got to think about selling your old home and getting the most bang for your buck out of it. Now, usually we’re on the other end of things - helping buyers save money on their home loans. But this time, we’ve decided to save you time, by trawling through every home improvement mag, renovation blog and property article we could find to bring you the top tips for raising the price tag on your home before it goes on the market. Here are some of the top tips the experts recommend. Open, airy spaces are inviting, customisable and very attractive to potential buyers. While you don’t have to update to an ultra-modern, open floor plan, flowing living spaces and easy to navigate bathrooms and kitchens are the big draw here. 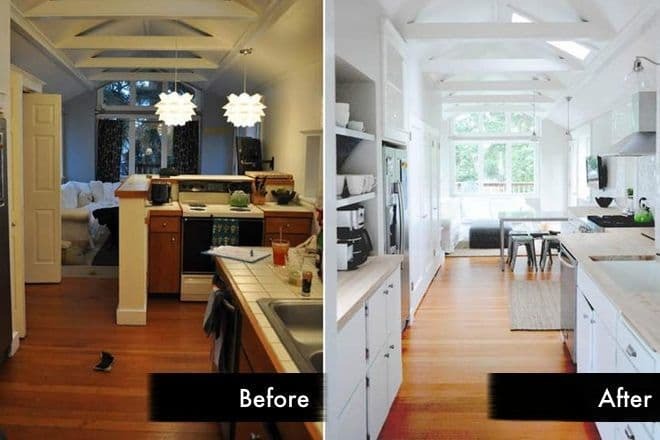 Easy fix: Take a look at easy to remove cabinets or kitchen cupboards and even free-standing furniture. Anything that obstructs a nice clean line of sight through living areas needs to go. Step it up: Consider knocking out awkwardly placed walls (as long as they’re not structural!) or fixtures that disrupt the flow of a room. One of the best things you can do for your home’s selling price is to get as much natural light in your rooms as possible. It’s also worth taking a look at your lighting fixtures - they don’t have to be brand new, but if you’re still rocking a stained glass ceiling light from the 70’s, an upgrade could lift the whole room. Pro tip: Is your home cramped? No problem. Try installing some high wattage lights to make small spaces feel large. Or, going the other way, warm yellow lights will give your rooms a homey feeling. Easy fix: Swap out old light fittings for new, modern fixtures that will provide your rooms with bright light. For natural light, trim back any trees or hedges that might be obscuring your windows. Step it up: Install some skylights or new windows to bring sunshine into your house. You can also replace the glass in existing windows. As for electrical lighting - dimming switches are popular, and there’s no end to what you can do with your light fittings. Your garden or yard is one of the first things a potential buyer will see - so make sure it’s neat and tidy. This one is great because it’s something you can mostly do yourself as long as you have a little bit of gardening know how and a sunhat. Another thing to think about is the safety of any trees in your yard. Do they pose a risk to the house or its occupants from falling branches? Easy fix: Prune hedges, keep your lawn watered and mown, weed the flower beds. Keeping your front fence well-maintained is a quick way to give your yard a facelift. Step it up: You can hire a landscape gardener if you’re really serious and your budget will allow it, but you can also D.I.Y your landscaping - plant flowers or shrubs and even build yourself features like a garden path. First impressions count, so make your front door and facade inviting - you don’t want a potential buyer to drive down your street and realise they’re about to inspect the block’s haunted house. Think about trying to maintain the style of the neighbourhood if there is one. 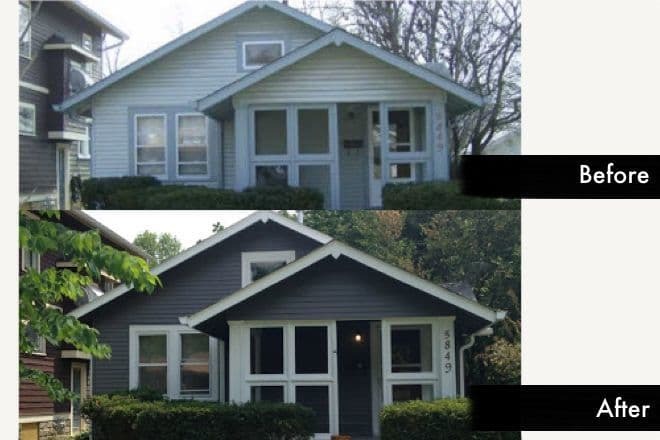 Easy fix: Fix broken windows, clean out gutters and slap on a fresh coat of paint. A working doorbell is a cute, slightly kitschy touch that a lot of buyers love! Step it up: Awnings or porticoes are a huge draw - searching for your keys at 2 am in the rain is always much nicer with an awning overhead. New window fittings and shutters can also make a house look more inviting, as will a newly paved driveway. You don’t have to make huge changes to increase the value of your home - in fact, sometimes it’s the littlest things that make the biggest difference. Keep up with repairs and maintenance because these are small imperfections that the discerning buyer might notice and just a couple of hundred dollars in small fixes can add thousands to your home's value. Easy fix: Repair leaky taps, clean out your rain gutters, replace the occasional broken tile, fix broken window panes. Basically, if it’s broken, fix it. Step it up: Take your repairs to the next level by updating your hot water or plumbing systems, and checking your insulation and electrical work is up to standard. We’re getting more and more conscious of our energy use these days, so while this one might cost a little more, money-savvy buyers will see the long term benefits. 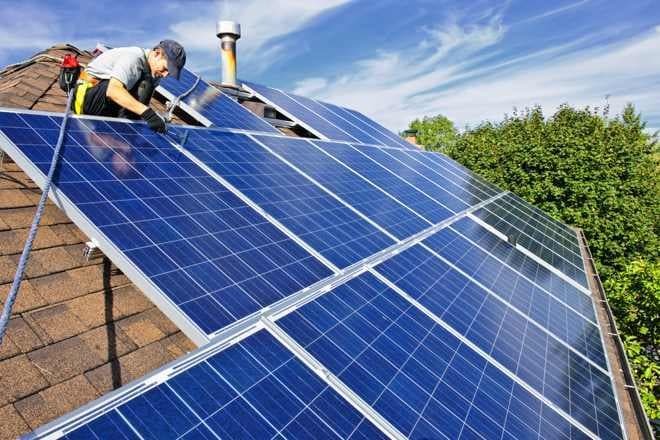 Setting your house up for green energy means you’re not only being environmentally friendly, but you’re also laying the groundwork for saving on future energy bills. Easy fix: Fix problem areas that might be letting draughts into your home and think about installing blinds or shutters to help regulate temperature. Step it up: Think about installing solar panels or updating your aircon if it’s old and inefficient. What’s the first thing to go on every renovation show you’ve ever seen? The ratty old carpet. Think about what’s beneath your feet before you put your home on the market. Timber floorboards are classic and versatile, but there are also a heap of great alternatives around. If you’re going with floorboards, engineered hardwood is a good bet, and floating cork beats cork tile, which can peel up over time. Easy fix: Look for creaky floorboards and do a few minor repairs with a hammer and some nails. Give carpets or lino a good clean. 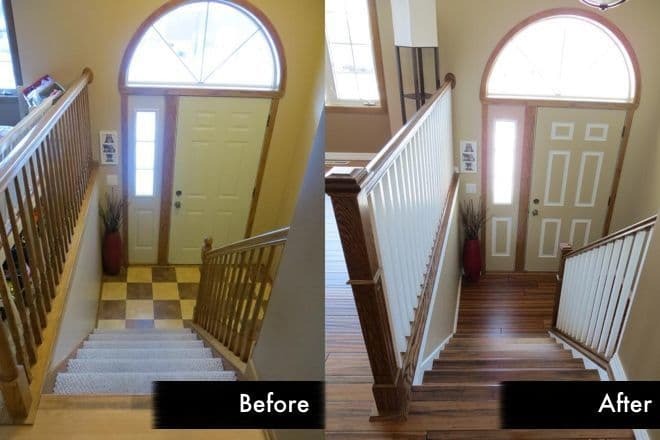 Step it up: Pull up your old carpet and then sand and polish the floorboards for a classic look. Or, if floorboards aren’t your thing, think about laying some cork, or even nice new carpet. The kitchen and the bathroom are the heart of your home as far as the property market is concerned and upgrades in these rooms are a sure bet for upping value. Wear and tear can really show here, so it’s definitely worth considering an upgrade. Major renos can be expensive, but you can also invest in some small fixes for a lot less. 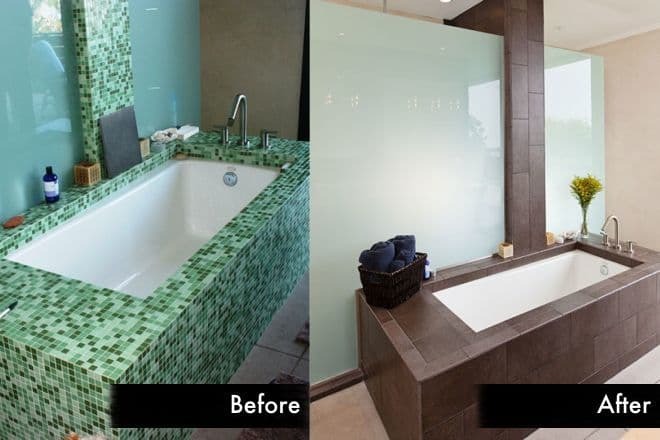 Easy fix: A deep clean can’t go wrong - scrub tile grout, remove rust stains, search out mould and get rid of it with a vengeance. If you don’t want to go for an all out reno, little updates like new cabinet fittings or tap faucets can make a huge difference to the look of a room. Step it up: In some cases, you might opt to completely gut your kitchen or bathroom and redo the entire thing, especially in old houses where changing a faucet won’t make a difference to the creaky pipes behind it. Unless you know you’re plumbing, it’s probably a good idea to get a professional on board for jobs like this. 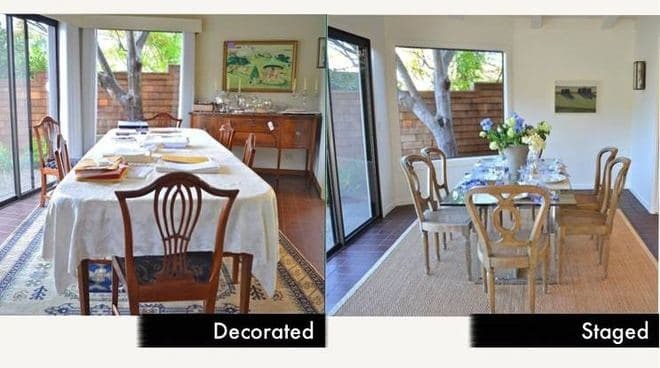 When preparing your home to sell, remember that it’s not about your personal taste, but what will invite buyers to imagine themselves living in a house. As a general rule, go for neutral palettes and classic designs - things a buyer can adapt to meet their own taste and style. Empty rooms can be a turnoff for buyers, but so can overly personal touches that may seem puzzling. Think of it this way: when you’re selling, you’re not trying to sell your home - you’re trying to sell a house that someone else can make home. If you’re willing to embrace your inner renovator and set aside a few weekends to get it done, a lot of these tips are things you can do yourself, from pulling up weeds to a fresh coat of paint, even through to minor plumbing fixes. But it’s good to be realistic. If your handyman skills are not quite up to scratch, not only can it cost you more money in the long run, but you might end up with a reno job that actually lowers the value of your home. Quick fixes and rough jobs can turn buyers off quick smart. It’s also a good idea to have a professional take a look at the structural integrity of your home. While it might not be as obvious to buyers straight away, flaws in your foundations or roof could mean a sale falls through later on. You’re supposed to be making money, right? So how much will all this cost? Well, you can spend as much or as little as you like really. Do some gardening for next to nothing, spend a couple of hundred dollars on little repairs or a few thousand on bigger jobs - whatever your budget will allow. But generally speaking, all these improvements will see a return on your money in the long run. If your current budget won’t stretch quite as far as you might like, there are definitely some options to make your improvements happen anyway. For small jobs up to around $40,000, check out a competitive personal loan. Or, if you’re looking at really overhauling before you slap a price tag on your home, check out a refinancing home loan.